Appetite and choice of foods are often very different from child to child and from day to day. Normally, children get all they need over a period of time. The best confirmation of an adequate supply is simple: if your child is normal in size and weight and is healthy, then they are getting enough. If you are unsure, talk to your paediatrician – they can help if necessary. 3 main meals – breakfast, lunch and dinner – plus one snack in the morning and one in the afternoon. How many sweet things is my child allowed? 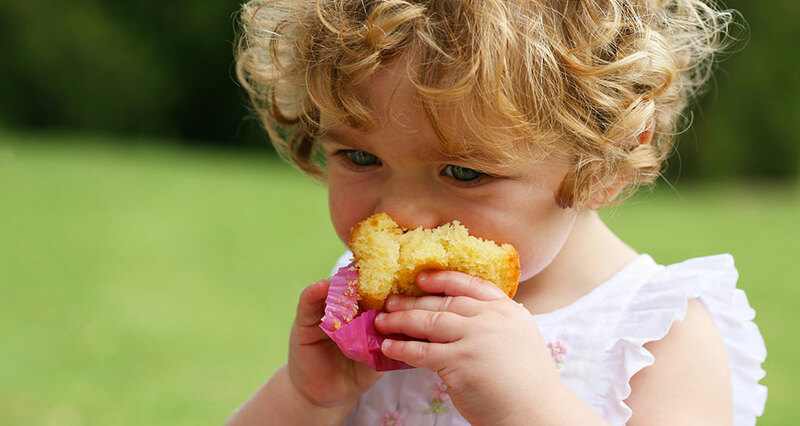 Our tip: better than snacking on sweets, it is better to offer sweet things at meal time, e.g. as a sweet spread on bread or some ice cream as a snack between meals. Snacking provides unnecessary calories and reduces appetite for regular meals.